The color pops and the performance rocks. What more can you ask from a hose? Get the reliability and performance you demand. 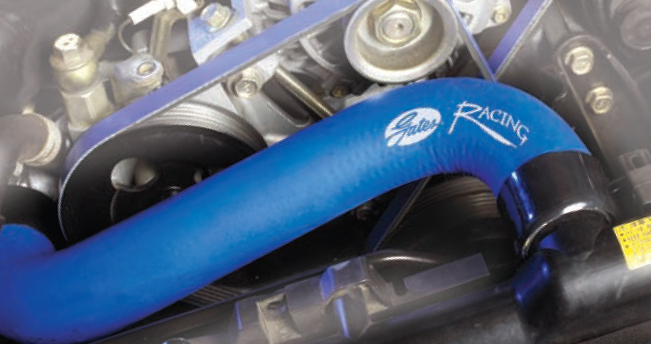 Go with Gates Racing Performance Radiator Hoses. 1. Advanced Fiber Construction. Exceptional durability and resistance to pressure extremes. 2. Premium EPDM Rubber Compound. Protects against the high temperatures of full throttle driving. Prolongs the effectiveness of coolant because its 10 to 15 times more resistant to water permeation than silicone hose. 3. Electro-chemically Resistant ECR Tube Stock. Combats the leading cause of premature hose failure - electrochemical degradation (ECD).